Morgan International College is one of the leading institutions in Nepal. This college was established by the group of education enthusiasts. This college is established to meet the demand of young learners who are looking forward for nation building and for those who are looking forward to face the competitive world. Morgan International College provides students with modern facilities for their better learning process. Having a very well reputed faculty that includes professors, lecturers and other staff members students get opportunity to learn new things from them. Morgan International College is always dedicated to provide quality education to its students. Our college aims to provide the global leaders of tomorrow. Students and graduates of Morgan International College is confident, disciplined and are those human resources which are capable of meeting the challenges of this complex world. This college is the best choice for the students who want to secure their future. We offer various subjects in diverse streams: Science, Management, Humanities in +2 level which is affiliated to Higher Secondary Education Board (HSEB). 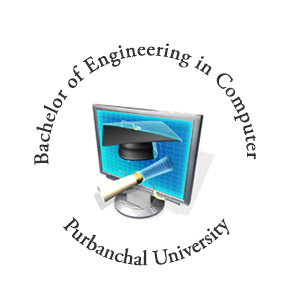 We are also operating courses in BBS & BIM in Bachelor's degree which is affiliated to Tribhuvan University(TU). Morgan International College is going to add GCE-A level, BCA & BIT as its program in upcoming years. Bachelor of Business Studies(BBS) in Morgan International College guides to give a standard degree which blooms the students into those type of managers that can compete in any field of businesslike activity. For more information, browse the link. Click the link, if you are interested in both of the computer technology as well as in management field, then Bachelor Of Infomation Management(BIM) in Morgan International College(MIC) will be the right choice for you. Also get to know how BIM degree is different in Morgan International College and why to study BIM in MIC. We are living in the era of science and technology. The whole world is run by such modern technology. We can't imagine our life without our gadgets. It has made our life much easier. So, Morgan International College emphasizes on science studies so that we can cope with the pace of fast growing and competitive industries. Our college provides students with well equipped laboratories of physics, chemistry and biology. Morgan International College look forward to teach students managerial skills and knowledge which is required in the field of business today. This course helps students to build successful professional career in the fierce competition of globalization. At the end it helps students to build their personality. Minimum of 65% score is required to join science stream and minimum of second division score is required to join management and humanities stream at Morgan International College. Humanities are one of the fast growing interest among students. Humanity graduates can be found in the field of government service, research, organizations, politics and many more. They have always played significant role in the development of any country. Schedule:Students can join both morning and day shift at their ease. 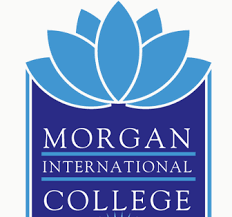 Morgan International College aims to produce IT professionals who are skilled in the use of computers and other techniques. This course helps students to solve real life problems which are required in official organizations. It mainly helps students by developing their skills in software design methods and data management system. Morgan BIM is affiliated to TU (Tribhuvan University). The main purpose of this course is to develop students into highly skilled manager for any sector. This course helps the student to acquire knowledge of business and administration. It helps to build a foundation for higher studies in management and thereafter take a career.